To fund a full-time Grower/Trainer to establish a volunteer-run plant and produce shop at the farm that will improve the wellbeing and employability of local people. The farm holds the quality mark for volunteering sessions with people with learning difficulties and works with local mental health and drug rehabilitation groups. 50% of the farm’s volunteers are unemployed. The farm provides the training, work experience and paid opportunities local people need to secure future employment. Tower Hamlets has high levels of diabetes, obesity and cardiovascular disease, and the highest rates of mental health admissions in London. 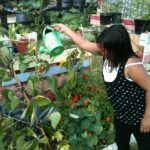 The farm offers gardening and outside activities which have physical and mental benefits. Stepney City Farm in London’s Tower Hamlets is a four-acre community farm, rural arts centre and community meeting place. The site provides much more than a green space to meet farm animals; it provides somewhere where you can learn how to grow food, own an allotment, try out numerous arts and crafts, visit the on-site café, and attend the weekly farmers’ market attracting 600 people a day when open. 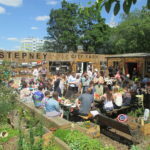 Situated within the densely populated East End of London, Stepney City Farm is a public space for people to socialise outside often overcrowded homes. The farm offers volunteering and training in horticultural skills, garden maintenance skills, get help with CVs and work experience for some of the area’s 16.8% unemployed. Tower Hamlets also has the highest rates of mental health admissions in London. 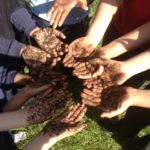 Through gardening activities, animal care, rural arts such as wood, pottery and blacksmithing, the farm offers opportunities to develop people’s skills, form positive social relations and improve their physical and mental health. To continue meeting the needs of local people, Stepney City Farm are setting up a plant and organic produce shop with mobile stalls at local events, providing further training and paid opportunities. Power to Change invested £66,065 to recruit a full-time Grower/Trainer that will establish the volunteer-run plant and produce shop at the farm, helping to also take on and train four people for 3 days a week on six. The Farm opened in 1979, when locals converted a neglected bombsite into a vibrant community space. Despite long periods with minimal funding, it has survived and parents who were brought to the farm as children now bring their own children. But when facing closure in 2009, with no funding and no staff, local people banded together to form a new charity in 2010, transforming the farm once again into a thriving multifaceted community hub. The farm remains accountable to the community it seeks to serve by involving its volunteers at every stage of decision making, even joining staff and trustees on the five committees that feedback, and decide the direction of the farm. 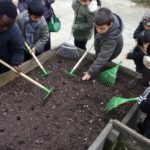 Stepney City Farm also makes sure to gain feedback from their local visitors, via onsite boxes, social media, surveys after school sessions and biannually on the streets of Stepney. 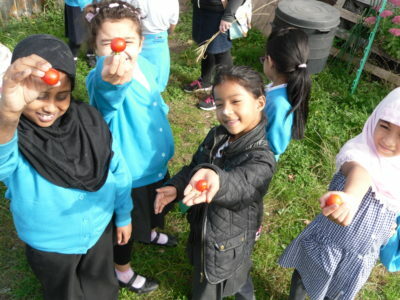 In the three years after 2010, Stepney City farm tripled turnover and staff numbers and are now open six days a week.